Global reinsurance firm Swiss Re has reported an expected $1.3 billion major claims burden from natural catastrophe and man-made losses during the fourth-quarter of 2018, but loss creep from Japanese typhoons boosted the tally by $320 million. Swiss Re’s estimate includes $1 billion of Q4 2018 natural catastrophe losses, after retrocession and before tax, as well as $300 million of man-made disaster claims, pre-tax. In total, the reinsurer expects to suffer $2.9 billion of catastrophe and man-made losses for the full-year 2018, before tax, with natural catastrophe claims largely impacting its Reinsurance business and man-made losses split across that division and its Corporate Solutions arm. 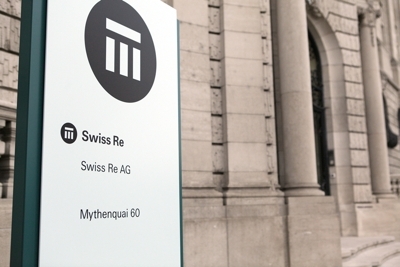 Swiss Re’s retrocessionaires will have taken a share of the losses from the reinsurer, helping to reduce the overall impact to the firm. Third-party capital partners will also likely have taken a share of these losses through Swiss Re’s Sector Re collateralised reinsurance sidecar vehicle. Noteworthy in this morning’s announcement is the fact Swiss Re experienced significant loss creep for Japanese typhoons Jebi and Trami during the fourth-quarter of 2018. Both third-quarter events, Swiss Re has added $320 million to its loss provisions for the two typhoons, after retrocession. The reinsurer expects that its total burden from major Japanese catastrophes in 2018 will amount to $1.2 billion, net of retro, so over a quarter if from the Q4 loss creep from these two typhoons alone. It’s no surprise that some ILS funds and collateralised reinsurance vehicles have had to increase loss provisions for typhoons Jebi and Trami as well in recent weeks. Swiss Re said that the California wildfires are the most costly natural catastrophe events of the period, with $375 million of claims expected. Meanwhile hurricane Michael is expected to drive $150 million of losses for the reinsurance firm, while other smaller events including the Sydney hailstorm on December 20th drove the rest (just under $150m). Man-made disasters during the quarter included a major satellite loss, a large industrial fire in Germany and loss creep related to the estimated claims of the Ituango dam flooding, which together drove $300 million of losses for Swiss Re. Swiss Re also updated some of its industry loss expectations this morning, saying that the California wildfires would drive an estimated $16 billion of loss, hurricane Michael around $8.5 billion, while Japanese natural catastrophe events are expected to drive around $12 billion of industry impacts. The size of the loss estimate increase for the Japanese typhoons is telling and reflects the difficult estimation situation markets have found themselves in over the last two years. Following hurricane Irma, which led to significant loss creep, it seems that Jebi and Trami are also driving significant increases for markets and if a reinsurance firm like Swiss Re is increasing its estimate by so much it’s no surprise collateralised markets have in some cases had to do the same.